Going to Las Vegas soon? Once you booked your flight and hotel, don't forget to book your car hire in Las Vegas. Hiring a car and driving around in Las Vegas brings convenience and makes your commute in Las Vegas a breeze. Search, find, and book now via Skyscanner! Free & easy to use! Going to New York soon? Once you booked your flight and hotel, don't forget to book your car hire in New York. Hiring a car and driving around in New York brings convenience and makes your commute in New York a breeze. 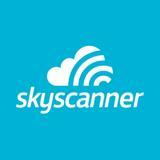 Search, find, and book now via Skyscanner! Free & easy to use! Going to Cebu soon? Once you booked your flight and hotel, don't forget to book your car hire in Cebu. Hiring a car and driving around in Cebu brings convenience and makes your commute in Cebu a breeze. Search, find, and book now via Skyscanner! Free & easy to use! Going to Manila soon? Once you booked your flight and hotel, don't forget to book your car hire in Manila. Hiring a car and driving around in Manila brings convenience and makes your commute in Manila a breeze. Search, find, and book now via Skyscanner! Free & easy to use! Going to Los Angeles soon? Once you booked your flight and hotel, don't forget to book your car hire in Los Angeles. Hiring a car and driving around in Los Angeles brings convenience and makes your commute in Los Angeles a breeze. Search, find, and book now via Skyscanner! Free & easy to use!